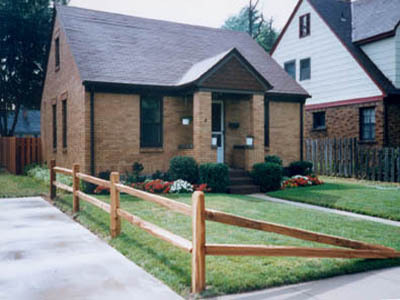 Erie Fence offers economical, pre-assembled panel fences, most commonly the #1 spruce stockade and #2 or better (appearance grade, smooth surface) pressure treated southern pine. 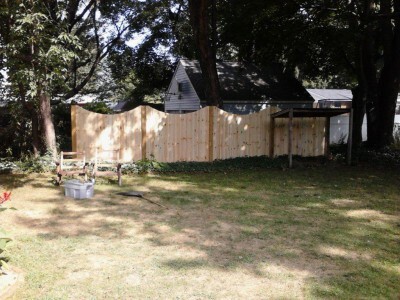 These panels are 8′ long and ready to be attached to our posts as soon as they are fully set in the ground. 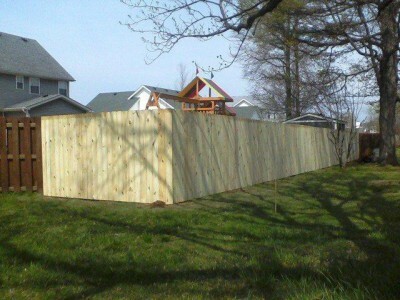 Erie Fence also offers “Built-On-Site” board fences, constructed from your choice of wood, usually pressure treated Southern pine frames with Western red cedar pickets. 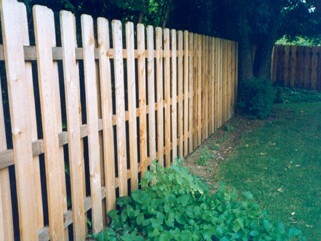 These fences are available in picket styles with 3” or 4” boards or privacy styles with 6” boards. 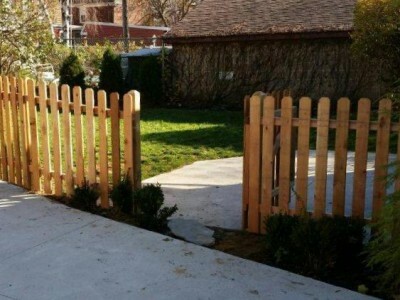 We have many other wood options, including a wide varieties of woods and custom designs.